With credit to Longfellow, there is really no other way to describe the natural beauty found at Isle Royale National Park. 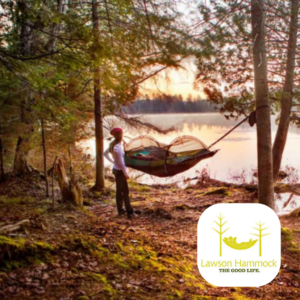 The park is located in Lake Superior 56 miles north of Michigan’s Keweenaw Peninsula and only 20 miles south of the province of Ontario in Canada. 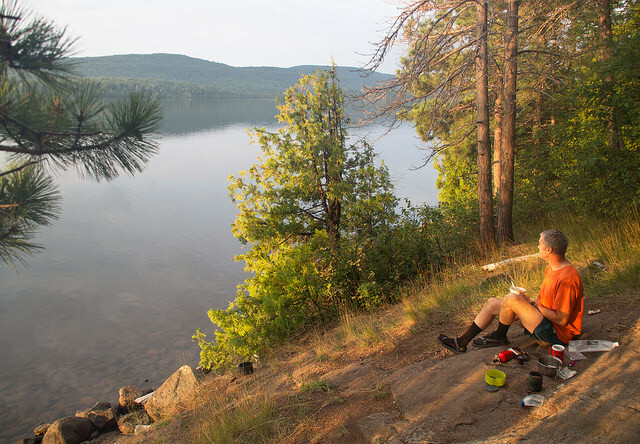 At 45 miles long by 9 miles wide and 800’ above sea level, it is the largest natural island on Lake Superior, boasting over 170 miles of trails. The park, one of few closed during the winter (November 1 to April 16), has seasonal ferry and air service, which can have a shorter season— so checking operating times for those services is essential. 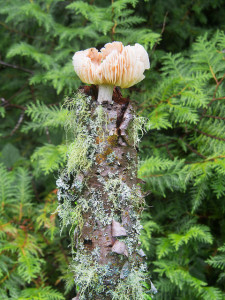 The primary trail on the island is the Greenstone, which runs down its spine from end to end, topping out at Mt. Desor (1394’). Other trails criss-cross the island or run along the coast on both the north and south side of the primarily east/west lying island. Anchoring both ends of the Greenstone are the key Park entrances at Rock Harbor and Windigo. Both locations have small stores with food and fuel available as well as Ranger stations for permits and information. At Rock Harbor, the Park grants a concession to the Rock Harbor Lodge, which has accommodation, a restaurant and grill. Cabins are also available to rent at Windigo on a more limited basis. 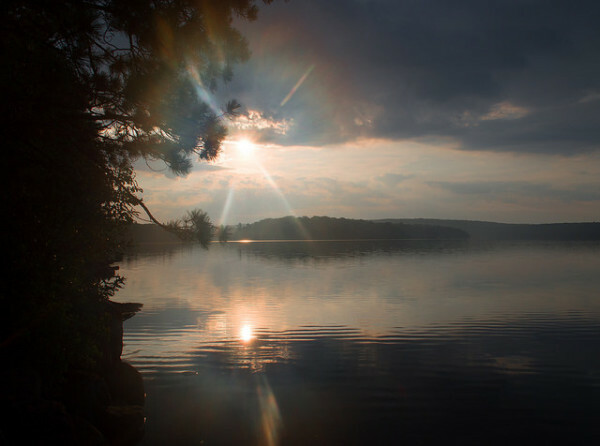 Access to the island is by either: ferry service running out of Copper Harbor and Houghton, Michigan, as well as Grand Portage Minnesota (2-6 hours approximately); floatplane service out of Houghton (35 minutes); or, private craft. The ferry lands regularly at both ends of the Greenstone and, upon request, at various coastal campgrounds around the island. My friend Mark and I opted for the floatplane service to maximize our time on the island, get a great view of the terrain and because it’s fun. O.k., mostly because it’s fun. 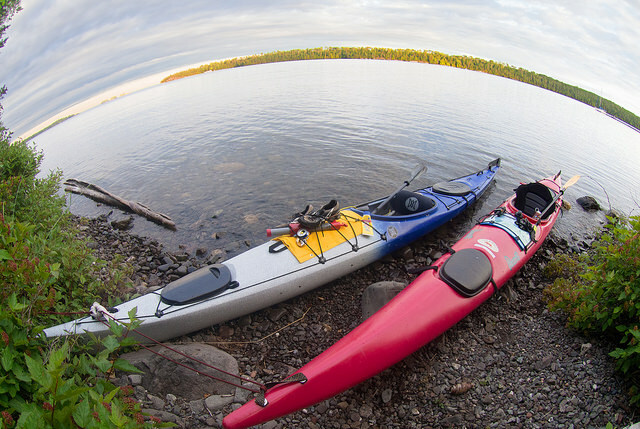 Water plays a significant part in the Isle Royale experience. The coastal trails either follow the shoreline or command views across the lake from the ridges. Campsites on the coast bustle with kayaks, pleasure craft (both motor and sail), swimmers and every other person is discussing what lures are best for what appeared to be exceptional fishing. On that note, I was offered a large northern pike caught at McCargoe Cove by two hikers who were leaving on the afternoon ferry. Fresh fish for dinner after dried food for a week was a real treat. 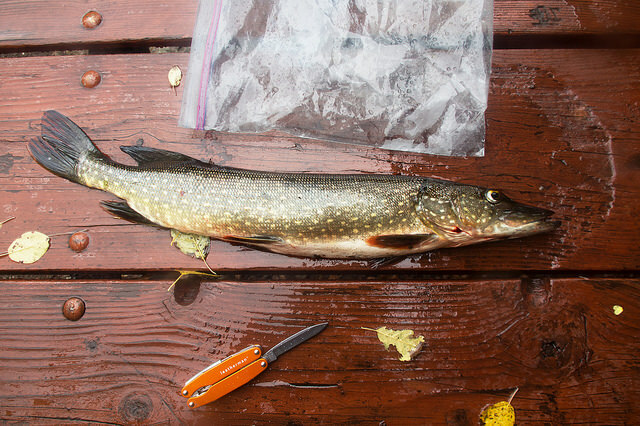 Fishing on interior lakes can be done without permits provided barbless hooks are used. 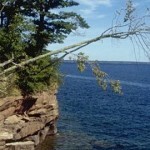 For Lake Superior, permits are required and are available on a daily basis at both Windigo and Rock Harbor. 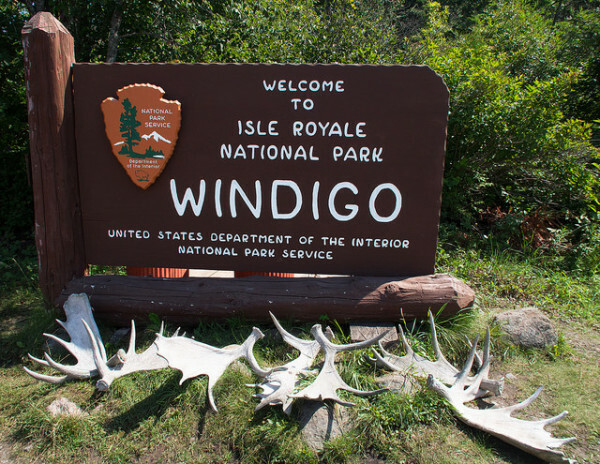 We opted to be dropped off at Windigo and spent 5 days walking the island end to end (45 miles) back to Rock Harbor for our floatplane pick up. 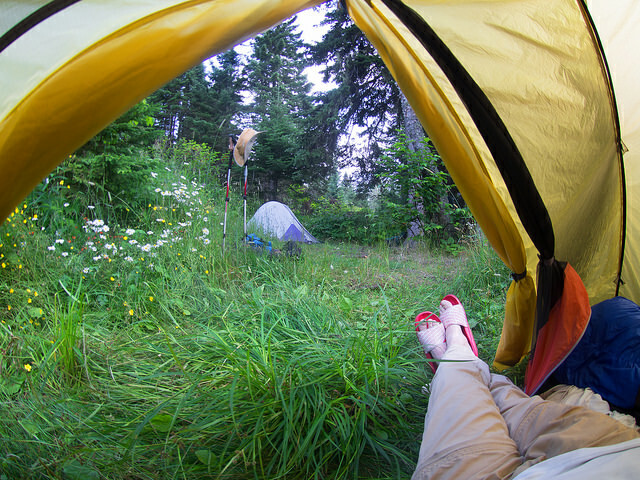 As campsites are limited and the terrain so rugged that off trail hiking or camping is difficult, if not impossible, a concern we had was finding a spot after a long day of hiking. This lead us to the less travelled but more rugged Minong Trail, which runs along the north shore. 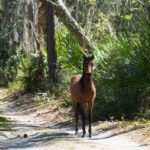 Overnight locations must be listed when you register upon arrival at the island but, unlike other National Parks, the permit can change provided that you notify them at the end so they can use your nightly locations for planning purposes. This allows enroute planning based on weather or other issues. 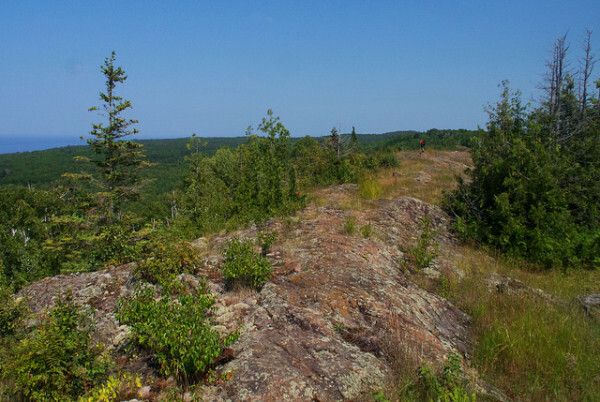 Reminiscent of hiking in Pennsylvania, the Minong Trail consists of a climb to the north ridge from Windigo, then a series of rolling climbs from low wetlands to open ridge tops. The trail provids beautiful scenery and relative quiet in comparison to the more popular Greenstone. The other benefit we realized from talking to hikers on the Greenstone (which we joined half way as the Minong ended) was that the best campgrounds are coastal, but, from the Greenstone, they require a descent at the end of each day and a climb each morning to reach. Keeping your pack weight down pays off at the end of a long day of ups and down on this trail. Water is not readily available on the Minong Trail except at the campgrounds and lakes. We carried approximately 3 liters each per day which, given the heat in August, was worthwhile. Campgrounds have a mix of Adirondack style shelters (complete with screening) and tent sites, which varied in number depending upon the popularity of the location, its proximity to either Rock Harbor or Windigo and whether it was a coastal ferry stop. Our timing on the island also had an added bonus as the raspberries, blueberries and thimbleberries (a member of the rose family and prolific on the island) were all ripe and slowed us down on occasion. The Minong trail was reasonably easy to follow except on the open ridges where you have to rely on rock cairns and watch for points where the trail dips off one side of the ridge or the other back into the forest. The wetland areas are, as is typical in the east, frequented by beavers, so parts of the trail were across small dams and over or around the ponds they create. After we crossed over to the Greenstone on the approach to Rock Harbor, we crested Mt. Ojibway and climbed the fire tower on top for a full view of the island. The island does not have either bears or deer, but does (apparently) have a large moose population and a small pack of wolves. We didn’t see any of either, but we did see a fox in camp and, based upon advice from the Rangers, we hung our food when tenting to keep it away from the foxes, which are notorious for stealing everything from food to hiking boots. Overall, I would recommend Isle Royale as a destination hike. We planned our route without being aware of the coastal ferry and, after seeing many hikers use the ferry to hop from one campsite trailhead around the island to another, I think I would try to work that into a schedule to open up a more flexible route. As well, we asked for a tour of the Rock Harbor Lodge and, after looking at their rooms, which all have amazing waterfront views of Lake Superior, I would recommend booking a room for the end of a hike. Their outdoor grill patio is very pleasant and the Keweenaw Brewing Company beer (“KBC”) on tap (one of many local breweries in the Upper Peninsula) assists highly in that regard! Finally, I might mix both a flight and the ferry into the trip as the opportunity to relax on the ferry at the end looked attractive as we sat dockside in Rock Harbor waiting for the floatplane. 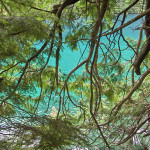 Lindeman Lake – Is This Hawaii?